Lord Ashcroft has denied allegations that he ignored rules around the management of his offshore investments.According to leaked documents, the Tory donor gave assets worth hundreds of millions of dollars to the Punta Gorda Trust in Bermuda in 2000.The leaked Paradise Papers provoked questions as to whether he sometimes made decisions without consulting trust officials. Such action could see the trust challenged by HMRC. The peer denied controlling the trust.In a statement, he said that he has never known the identity of any of the trustees or had any dealings with them. "At no point has it been suggested directly to me, or through others, that I have taken any inappropriate action. 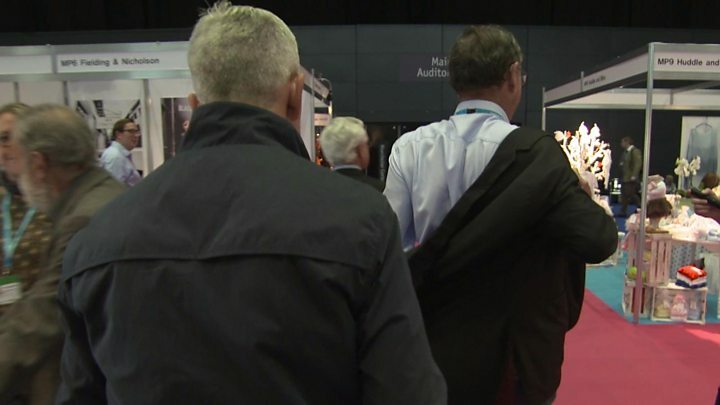 "No professional trustee has ever resigned because of anything I may have done," he added.Panorama approached Lord Ashcroft during last month's Conservative Party conference in Manchester but he declined to answer any questions about the trust.He has described two previous Panorama investigations into his affairs as "unashamedly one-sided" and said he had informed BBC director general Tony Hall that he is "simply not prepared to deal with" the programme. The 71-year-old former Conservative deputy chairman has given millions of pounds to the party.He fell out with David Cameron in 2010 and later co-authored a controversial unauthorised biography of the then-prime minister but remains involved in UK politics through his polling and publishing interests.Journalist Peter Oborne said Lord Ashcroft has been a "hugely significant figure" in the Conservative Party over the last 20 years. He said: "Lord Ashcroft has been one of the most significant donors to the... party. But it's not just... that he's been a giver of money, he's also been very important organisationally. He's involved himself in the internal politics. "Other documents in the Paradise Papers show Lord Ashcroft has secretly remained non-domiciled in the UK for tax purposes. Addressing this allegation, he said in his statement: "My position was made public in a statement which I made in March 2010 and to which a link is provided here. "Following the change in the law later that year, a change which my statement anticipated, for each of the remaining five years during which I sat in the House of Lords, I was deemed tax resident and domiciled. "This is all publicly available information and nothing was produced yesterday by the BBC which suggests different." The structure of a trust involves one entity legally entrusting a second to look after assets for a third, essentially removing ownership for tax purposes. Wealthy people can legally avoid paying tax on assets that they have given to a trust because they can tell the authorities they no longer own or control the assets in them. But for a trust to work as a tax break, decisions about its assets have to be taken independently by the trustees. Despite the warning, Lord Ashcroft appears to have continued to make decisions about the trust's assets.In October 2000, one of the trustees said: "I would like to emphasize at this point that it is imperative at all times that the trustees are aware of any and all transactions to be entered into prior to transactions occurring. "To do otherwise, will only serve to undermine the integrity of the trust as the trustees are being advised of actions taken in connection with trust assets, which should be under their control, after the event. "A review of the trust in 2009, discovered that significant payments out had been made that had not been properly recorded. In an internal email, a lawyer representing the trust says: "There have been very large sums of money involved and I am very concerned that there has been inadequate supervision of both transactions and distributions... to put it bluntly we seem to be told nothing whereas we carry the responsibility of acting as trustee." Paperwork then appears to have been put in place retrospectively "to ensure that we have all the relevant trustee and company authorities in place for the transactions which have occured [sic]". Trust experts say anybody who puts their money into a trust could face a challenge by tax authorities if it was felt rules had been abused. This could include a challenge from HM Revenue and Customs if it was to take the view an overseas trust had been controlled from the UK.Nicholas Shaxson, the author of Treasure Islands, an expose of the workings of tax havens, told Panorama: "On the evidence I have seen, it looks like something that is abusive behaviour and an abusive structure. If the trustees are worried, the trustees are expressing alarm about that, that's a clear red flag. "Prof Brooke Harrington, the author of Capital Without Borders, said: "It's important that trustees be independent because the whole concept of a trust is that a settlor gives over legal ownership of an asset to the trustee. "That's why you get these tax benefits and other legal benefits from the trust structure. "Lord Ashcroft's spokesman, Alan Kilkenny, is quoted in the Guardian as saying the peer had never engaged in tax evasion, abusive tax avoidance or tax avoidance using artificial structures.